Hi Lovelies~ After that dreadful post yesterday, we all need to cheer up a bit.. because it’s FRIDAY! I was a little mad at myself for being lazy yesterday when I go home. I wanted to do most of my homework but ended up doing NOTHING because my tummy didn’t feel well and it made me super lazy! so that means I have to jam all my work in tonight. Ehhh.. not fun. hopefully I can do it with better energy today! I realize it’s been forever too since I post some nice photo posts. Hopefully I will be able to do that soon~ I’m going to an event this weekend so stay tuned for a photo post next week! Alright, here is the MSS of the week! Enjoy! Which magazine if your favorite? My favorite magazine is AGEHA!!! And then NailUP <3 I love both and I'm trying to get newest edition all the time. 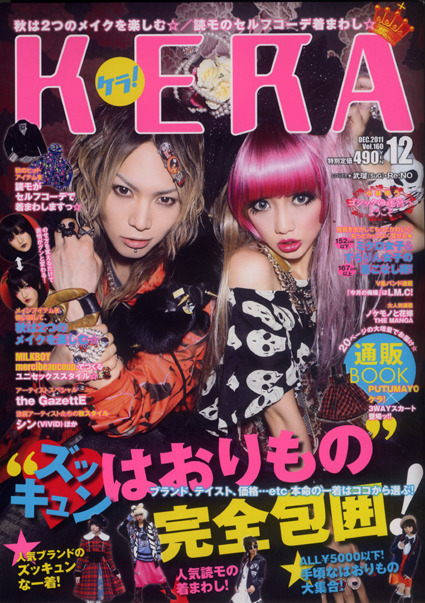 Kera is aso nice but not my favorite one~~ Thanks for posting this edition! never heard of kera but i'll give this a flip through, thanks and also good luck with the workload!